If you incorporate mindfulness into your New Year’s resolutions, you will achieve them. For example, if your intention is to lose weight, practice mindful eating. If you are in the present moment when you grocery shop, peruse a menu, prepare a meal and chew your food, you will tap into the body’s wisdom. With mindfulness you will enjoy the whole process of nourishing yourself. It is when we go mindless that we over-eat, unaware that our stomach is full. It is when we go mindless that we eat food we are programmed to want but that does not satisfy our body’s hunger. When we are mindful, if our body isn’t hungry, we don’t think about food. What freedom! If your intention is to exercise more, incorporate awareness into your practice. As you exercise, sense into the body, feel the movement, follow the breath. You will feel more fully alive and find joy in the movement. If you are doing exercise that requires a certain set of repetitions, do the counting based on your breath or pulse. This helps you stay in the moment, anchored in physical sensation, so the mind is less likely to wander off, get bored and stop exercising. If your intention is to spend less money, be mindful of when you need something and when you are following a desire based in some complex impulsive pattern that does not serve you. This will help to make wise spending easy and pleasurable. The New Year is a powerful time to make a change in our habitual way of being. When I was 25, I quit smoking as a New Year’s resolution and have never smoked another cigarette in 40 years. Yay! Since so many in my family died from smoking-related diseases, I am especially grateful for my having made that resolution at a young age. But it is never too late to make a wise choice. The common joke is that we will all fail in our resolutions. But if our intention is grounded in wisdom, and if we practice mindfulness, we can do it! In Buddhist thinking, every moment is a fresh beginning. In meditation, our mind wanders and when we become aware of it, we simply begin again. Just so, it’s important not to sabotage ourselves by thinking that if we failed one time, then we have to wait until next New Year’s Day to try again. Every moment is a fresh beginning. We reset our intention grounded in mindfulness, and simply begin again. We can use the idea of the beginning of a new year to inspire and support us, but if we use it as an excuse to give up, then let go of any attachment to the New Year as some be all end all point in time. 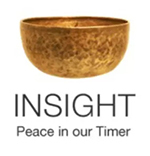 In our practice we have two ongoing intentions: The first is to be present, and as you can see in the above examples, the resulting mindfulness helps us to live wisely and joyfully. The second intention is equally important: To be compassionate with ourselves and others. In this way, we don’t waste time beating ourselves up or blaming someone or else. We understand that we and they are human, prone to error, and that we are all in need of loving kindness. We don’t have to make up excuses for our behavior. That’s just a habituated pattern of fear-based justification that distracts us from being present. Instead we simply recognize our error, apologize and make amends as appropriate, see where we went astray from our intention, sense into our breath and begin again. I wish you every good blessing in the New Year and always. This entry was posted in habit, intention, mindfulness, New Years resolutions, smoking, weight loss on December 29, 2012 by Stephanie Noble.